3 Bedroom Flat For Sale in London for Asking Price £1,500,000. A duplex apartment benefitting from a private courtyard garden. Presented to a high standard throughout, this apartment offers open plan kitchen / reception room on the ground floor, with living space below formed of master bedroom with dressing area and ensuite bathroom, and two further double bedrooms both with fitted storage, and two further bathrooms. Situated within an attractive early Victorian building, this apartment is positioned less than half a mile from the refurbished Italian Gardens at Lancaster Gate, on the north side of Kensington Gardens (Hyde Park) offering easy access to those wishing to cross the park to the sights of Knightsbridge and Kensington. 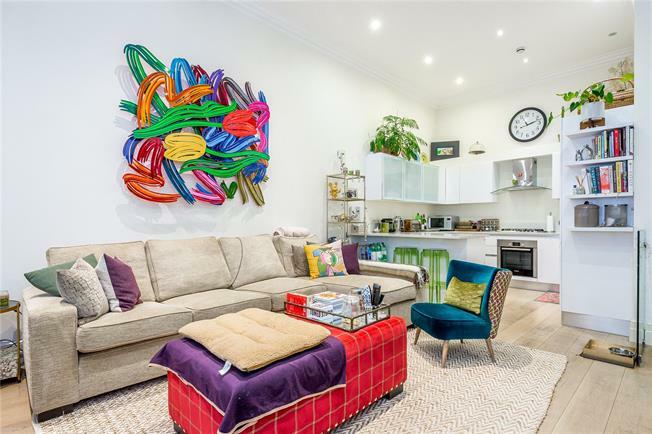 Located in one of the best connected areas of central London, nearby transport links include underground services from Brunel's Grade I Listed Paddington station (Circle, District, Bakerloo and Hammersmith and City), in addition to National Rail services and Heathrow Express. CrossRail (Elizabeth Line) will connect London east to west with a major new hub at Paddington.